You never quite know what you're going to get with guest judges on reality TV competitions. Sometimes they're funny, sometimes they're grouchy, sometimes they have expertise in what they're judging, sometimes they're just a big name. 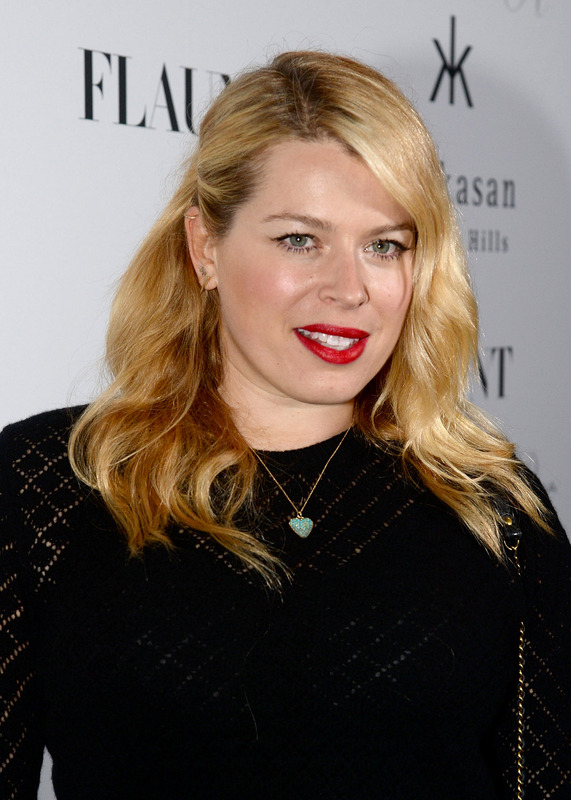 It may at first seem like one of the guest judges for Thursday night's Project Runway , Amanda de Cadenet, was just booked as a publicity stunt since her talk show Undone With @AmandadeCadenet airs immediately after the design competition, de Cadenet actually knows a thing or two about fashion. And with her aforementioned on-air chops, she should be quite the entertaining guest judge, to boot. So now that you have high hopes for de Cadenet's guest spot, as you should, you probably want to know everything there is to know about her, right? You're probably wondering how this Brit rose to fame, what her Lifetime show is all about, and what her greatest hopes and dreams are. Well, I'm not going to be able to get too existential on you, but I can give you a quick and dirty run-down of everything you should know about de Cadenet. Sound good? Then let's get this party started. De Cadenet began modeling when she was 14 years old. She soon took a role behind the camera as a fashion photographer and became the youngest woman to ever shoot a Vogue cover. De Cadenet has basically photographed everyone in Hollywood and fashion, including Keanu Reeves (who is also an ex of hers), Olivia Wilde, and Amy Adams. You can check out her high-fashion photos in her photography book, Rare Birds, which was published in 2005. De Cadenet's father Alain was the first to make the family name famous as a prominent racecar driver in the 1970s. He has since appeared on TV talking about, what else, cars. In 1991, when de Cadenet was just 19 years old, she married Duran Duran bassist John Taylor. They gave birth to daughter Atlanta and moved from London to California, where de Cadenet has stayed ever since. The couple called it quits in 1997. Nearly 10 years later, de Cadenet got remarried to Strokes guitarist Nick Valensi and gave birth to twins. For '90s-tastic movies in the, well, 1990s, de Cadenet was your girl. She had small roles in Four Rooms opposite Antonio Banderas and Brokedown Palace with Claire Danes. De Cadenet took a break from acting for more than a decade, but in 2013, she had a cameo in the fourth season of Arrested Development as a correspondent reporting from "Actual Britain," not "Wee Britain." For many Brits, de Cadenet is best known for co-hosting the U.K. variety show The Word , which had a mix of celebrities, musical performances, and guests generally doing crazy things. Once de Cadenet traveled across the pond to the U.S., she would go on to host the show The Conversation With Amanda de Cadenet on Lifetime, where she interviewed famous ladies including Jane Fonda, Lady Gaga, and Arianna Huffington. Her current stint is another show on Lifetime called Undone With @AmandadeCadenet where she chats with celebrities and talks pop culture on live TV. The show also has a strong social media component, otherwise that "@" in the title would just be obnoxious. In recent years, de Cadenet has used her Lifetime shows and social media to bring awareness to important issues affecting women, such as violence toward women, body peace, and gender stereotypes. As someone who has survived abusive relationships, drug use, and body issues, really is an inspiration for women everywhere. See? Told you she was the coolest.